Wal-Mart Guilty of Currency Manipulation? 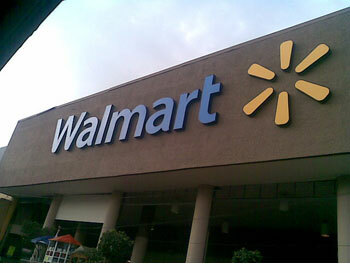 HomeBusinessWal-Mart Guilty of Currency Manipulation? MP: In other words, Wal-Mart is engaging in a new round of currency manipulation by cutting its retail prices, which makes the U.S. dollar artificially overvalued in relation to Wal-Mart’s goods. This attempt to manipulate the currency and lure customers into buying more of its products with an overvalued dollar will create job losses at Target and other retailers, and should be investigated by the government. If found guilty, Wal-Mart should be forced to stop manipulating the U.S. dollar, and should be pressured to raise its prices back to the pre-price cutting campaign levels. 2 Comments on Wal-Mart Guilty of Currency Manipulation? Kind of a stretch to suggest Wal-Mart is manipulating currency values because they are lowering prices. Do you want to take all the retailers (and manufacturers) who offer coupons to court too?